I love felt. There I said it. I’m planning to make some more stuffed banners out of the colors above. How about you? What do you like to make out of felt? Check out this Flickr pool for some inspiration for your next felt project. Check back Tuesday for a Betz White contest announcement. 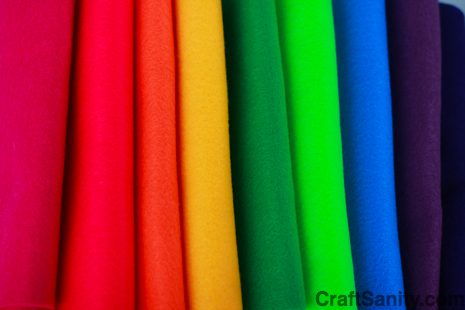 Enter to Win Free Craft Felt! Hello! I could have sworn I’ve been to this blog before but after checking through some of the post I realized it’s new to me. Anyways, I’m definitely glad I found it and I’ll be book-marking and checking back frequently! Oh my goodness! an amazing write-up dude. Thank you Nonetheless I am experiencing issue with ur rss . Don’t know why Unable to subscribe to it. Is there everyone acquiring identical rss issue? Anyone who knows kindly respond.